Epitomizing a perfect blend of contemporary design and quality construction, Vision Arcade is an integrated residential apartment project by Vision Constructions located at Mathrusri Nagar,Miyapur. Elegantly crafted apartments equipped with modern amenities and impressive features make a perfect dream home.The project is having 30 Feet Road with North Facing. Vision Arcade, is a residential APARTMENT Project is located at Miyapur, Hyderabad. Property adviser team started following Vision Arcade from 05 Oct 2018. 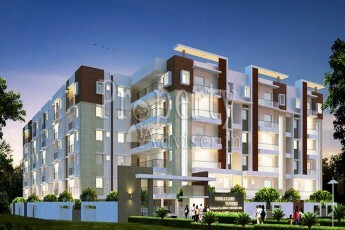 This APARTMENT has 3BHK Flats with total built-up area ranging from 1545 Sq. Ft to 1545 Sq. Ft constructed by Vision Constructions. Out of 10 units, 2 units are available. The price of the APARTMENT ranges from Rs. 76.1 Lakhs to Rs. 76.1 Lakhs at Rs. 4700/- Price per square feet. Till now, our team visited Vision Arcade 7 times. Our most recent project visit was on 04 Apr 2019 when we collected details about price changes, available units and took photos showing the progress of construction, materials used, and so on. Vision Arcade project has Bank Loans available from HDFC, SBI, ICICI bank(s). The Vision Arcade project is elegantly designed with modern amenities such as Lift, 24 Hrs Security Personal, Car Parking, Municipal Drinking Water, Power Backup, Borewell Water, and so on. The apartment has all the modern amenities that will ensure that you don't have to step out of your apartment to enjoy all these facilities. The residential project is located at Miyapur, Hyderabad. Avail Seller Contact Details on one click to get your dream home site visit. 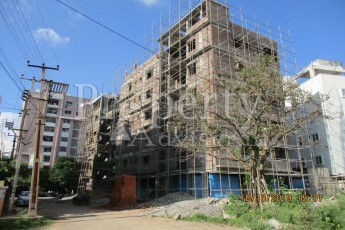 This Project is constructed by Vision Constructions, reach seller by Contacting to Rajesh. You can reach them on these numbers or visit them to view model flat and finalize your dream home.